All members are invited to participate in this memorial. 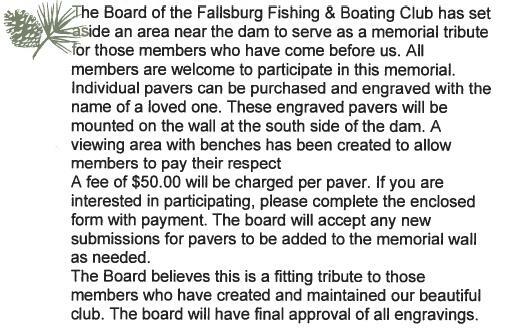 To purchase an engraved paving stone to be added to our memorial wall, simply download the file below (underneath the image of the form shown here) and print out a copy and fill it out. Return the completed form to a Board member or mail it to the address noted along with the $50 fee. 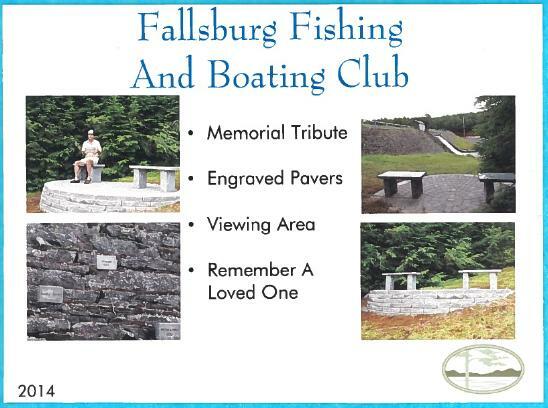 Engraved pavers will be added to the memorial wall periodically as needed. The Board of Directors has final approval of all engravings.